The Empire Aesthetic Meeting is held regularly throughout the calendar year in various cities and venues with invited guest speakers prominent in the field of aesthetics and medicine. Check out our Empire memberships and save on tuition! In addition to our comprehensive training and other educational resources offered, Empire Medical Training as an added benefit sponsors special events and webinars for our members and attendees. The Empire Aesthetic Meeting, Meet the Ex-perts™ Series, and the new Empire Aesthetic Station™ have been designed and created to give “value add” for the Empire family of physicians and healthcare professionals beyond the training you will receive. Empire Medical Training is continually developing new avenues for enrichment as part of your experience with us. The Empire Aesthetic Meeting is held regularly throughout the calendar year in various cities and venues with invited guest speakers prominent in the field of aesthetics and medicine. The meeting includes a variety of topics ranging from Aesthetics to Regenerative Medicine with the latest advances, techniques, and personal experiences for invited guests to enjoy. We have also made these special meetings to include vendors and manufactures to showcase their latest technologies with live demonstrations throughout the event. This is the perfect opportunity to network with your colleagues while enjoying the lectures, food and drinks in a casual type atmosphere. 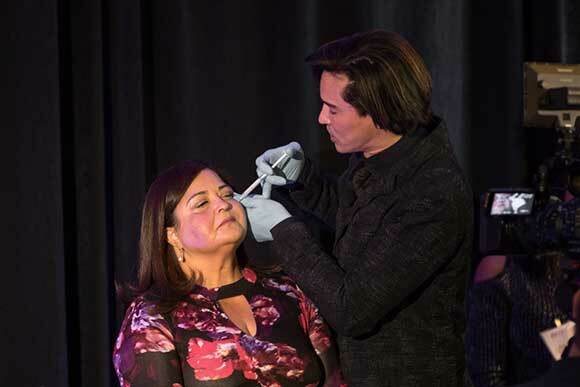 The Meet the Ex-perts™ Series is a value benefit for Empire Members and is also held regularly throughout the year and include a number of advanced injectable “hands-on” training options to further your aesthetic skillset. The physician instructors specifically for these events are very successful physicians in the field of aesthetics who otherwise would not be available on a regular basis throughout the year. Empire Medical Training is working with only the very best physician instructors for these specialty injection programs as well as consultants who will also share their pearls of success. This program is the perfect opportunity to learn from individuals who are successful in the field of aesthetics and are willing to share their practical experience and knowledge with our members. The Empire Aesthetic Station™ is an ongoing and continues to grow with a number of live streaming webinars by our prominent Physician Faculty. This is similar to the Empire Aesthetic Meeting but is accessible for those that may be unable to attend. Throughout the coming months and years we will be expanding this area of education through archiving of previous webinars, vendor webinars, and re-broadcast of special events. Empire Medical Training has created these various special events and live streaming events to showcase the continuing education, knowledge, and keeping current on the latest technologies and techniques. Empire is committed to the success of our Empire family of physicians and healthcare professionals before, during, and after our training.